Mr. Rutten, a Captain with 23 years experience in Montgomery County Maryland, Fire and Rescue, is a certified Fire and Explosive Investigator through the International Association of Arson Investigators (IAAI), the National Association of Fire Investigators (NAFI), the National Board on Fire Service Professional Qualifications (NFPA 1033-1998) and is a certified Bomb Technician (Hazardous Device Technician) through the U.S. Department of Justice, Federal Bureau of Investigation (FBI). While working with Montgomery County Fire Rescue, and as a graduate of the Montgomery County Police Academy, Mr. Rutten conducted criminal investigations with a focus on Fire, Arson, Explosions, and Bombings. Mr. Rutten worked closely with other local, state, and federal agencies throughout the 11 years he was assigned to the Arson and Bomb Squad. Mr. Rutten was assigned to a Federal Arson Task Force with the U.S. Department of Justice, Alcohol Tobacco and Firearms (ATF) in Baltimore where he served as a Task Force Officer (TFO) and Arson K9 Handler for 9 of the 11 years. As a TFO, Mr. Rutten was a sworn Special Deputy United States Marshal. The focus of the Arson Task Force was large loss incidents involving interstate commerce, churches, and serial offender cases. In July of 2008, Mr. Rutten entered the private sector providing consulting services in the area of Fire and Explosion Origin and Cause. Mr. Rutten provides on scene investigative examinations, evidence identification and collection, and expert opinion and testimony as to the origin and cause of fire or explosions. Additionally, Mr. Rutten provides investigative services involving a variety of circumstances where his expertise in interview, interrogation, and surveillance may be helpful to the client. Mr. Rutten has been involved with the fire service since 1987. As a firefighter and officer, Mr. Rutten responded to emergency incidents, large and small, serving Montgomery County Maryland, a community of almost one million people. In April, 1995, Mr. Rutten responded to the Alfred P. Murrah Federal Building Bombing in Oklahoma City as part of a Federal Emergency Management, National Response Team member. The 9 day mission of the team sent from Montgomery County, MD focused on the collapsed day care center and credit union, located in what became known as the Pit. In 1997 Mr. Rutten was selected to join a small but coveted unit within the Fire Department known as the Arson and Bomb Squad. This unit is a law enforcement branch of the fire department, unique in that all members are police officers and some are also Bomb Technicians. Mr. Rutten attended the Montgomery County Police Academy, the National Fire Academy, and the Federal Law Enforcement Training Center in Glynco, Georgia in preparation for this assignment. In 2000 Mr. Rutten attended the US Army Ordnance Munitions & Electronics Maintenance School, Redstone Arsenal, Alabama to attend the Hazardous Devices School and Bomb Technician Weapons of Mass Destruction Course. After successfully completing these courses, Mr. Rutten was certified by the FBI as a Bomb Technician. Post Blast, Robotics Operation School, and Advanced Explosive Demolition School followed shortly thereafter. As a member of the Montgomery County Arson and Bomb Squad, Mr. Rutten conducted criminal and non-criminal investigations of fires, provided render safe procedures on explosive devices (bombs), conducted demolition on unexploded munitions, and conducted post blast examinations, collecting evidence and conducting the criminal investigation when appropriate. Mr. Rutten prepared case files for prosecution and testified as a subject matter expert and lead detective. In 2004, Mr. Rutten attended the Maryland Institute of Criminal Justice Polygraph Examiner School. Mr. Rutten provided other investigators within the Arson and Bomb Squad with Criminal Specific Polygraph Examinations in support of their ongoing criminal investigations. Several administered examinations resulted in confessions. One uncovered a previously unknown arson fire. In 2005, Mr. Rutten was selected through competitive process to attend the ATF Accelerant Detection K9 program. Mr. Rutten was teamed with Mira, a 1 1/2 year old English Labrador. Certified by the ATF, Mr. Rutten and Mira were instrumental in several major cases locating evidence which connected the perpetrator to the crime. Evidence identification and collection from the scene or on a suspect was the primary mission of the Accelerant Detection K9 Team. Mr. Rutten and Mira were invited to teach as an adjunct instructor at the Federal Law Enforcement Training Center in Glynco Georgia following a recommendation from the Baltimore Arson Task Force. Mr. Rutten provided instruction to new ATF Agents in Fire and Arson Investigation utilizing Mira when necessary. 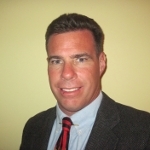 Mr. Rutten has conducted or participated in hundreds of criminal case investigations. He has testified in State and Federal Grand Juries, as an Expert in Fire Origin and Cause and Explosives in the District Court and the Circuit Court of Montgomery County Maryland. In 2008, Mr. Rutten joined the private side of the investigative process. 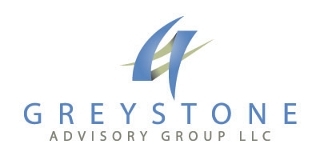 Mr. Rutten has teamed with Greystone Advisory Group to support the collection of professional investigators assembled by Rick Potocek, Executive Director, providing investigative support in addition to his specific expertise in fire and explosion related investigations. Mr. Rutten played a part in 34 cases which resulted in 44 fatalities, either as a support investigator (usually with Mira) or as the lead investigator. The cases involved homicides, suicides, and accidental causes. - Arson for Profit/Bribery Scheme for Contracts worth 1.2 million at Walter Reed Army Medical Center, This case broke due to persistent investigation of the Arson resulting in a federal investigation of the contract fraud, Defendants Krachyna, Pisani, Moriarty, Roach. The fire would have net an additional 1.2 million if successful.